Mahatma Gandhi's place in history is secure. But, was he a 'Great Soul'? The visionary and martyr's dirty linen in now being threatened to be washed in public. All people thrive and delight in controversies. However, if it involves a person who is revered and celebrated, the controversy becomes juicier. 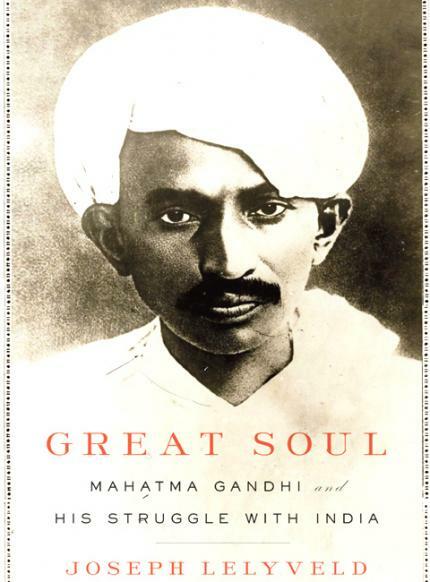 According to book reviews, Joseph Lelyveld in his latest book, ‘Great Soul: Mahatma Gandhi and His Struggle With India’ has revealed about the Mahatma's reltionship with a male German national, when he was in South Africa. Lelyveld's arguement to the controversy that has now cropped up is that, the presence of Hermann Kallenbach in Gandhi’s life during his time in South Africa is a fact, but that does not really mean that Gandhi was gay, bisexual, or whatever the readers presume it to be, and that he has just presented the ‘facts’ he unearthed during his research and there is no mention of the word ‘bisexual’ in the book. Granted, Gandhi was no saint. But he has borne the weight of our country on his frail shoulders and this is not how he'd like to shrug it off. What’s the use of the truth, if the truth is of no help? What does it mean if the entire world comes to know some of the intimate, sexual details from the life of a man who is considered in India as the 'father of the nation'? How does it help us understand this 'Great Soul' and his historical significance for India and the world? In such a situation, is is best that we ignore these allegations, and move on? Today - more than six decades after his death - he serves as a reminder that irrespective of race, caste, gender, or religion, the world’s peoples must and can live together in peace and equality. Holding oneself from reading or banning the book only makes it more distant from Gandhi’s vision of India.